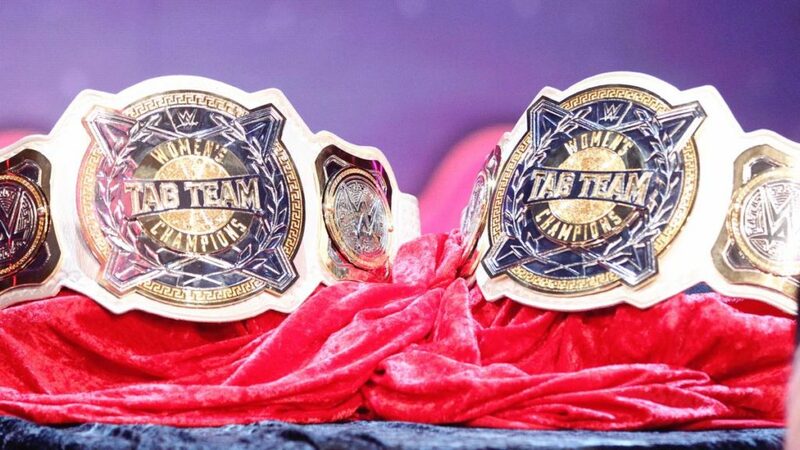 For the first time ever, WWE will crown Women’s Tag Team Champions, at the Elimination Chamber pay-per-view on Sunday, February 17. Six teams will step inside the daunting Chamber structure, each looking to make history while also settling some feuds that have been brewing for some time. Because the Chamber is so unpredictable—who enters the match at what time is a variable that could provide a significant advantage—it’s clear that any team could pull out the win. But simply saying “anybody could win!” isn’t a whole lot of fun. Ronda Rousey has already told us who she thinks is the favorite in the match and who’s the underdog, so now it’s my turn to rank who has the best shot at becoming Women’s Tag Team Champions at Elimination Chamber. Somebody, unfortunately, has to be ranked last, and for me, it’s Morgan and Logan. They’ve certainly made an impact on the roster since coming to RAW, but they haven’t shown true success in the way their leader Ruby Riott—who is challenging for Rousey’s RAW Women’s Championship at Elimination Chamber—has the last few months. They’re a formidable team with a fighting chance, no doubt, but their spotty track record leaves me wondering if they have what it takes to really pull off the win. When you look at the other teams here, there’s a lot more experience, not only in WWE but in more extreme matches. It feels weird to rank this team so low. Naomi is a two-time Women’s Champion, and she won the first ever Women’s Battle Royal at Wrestlemania 34. 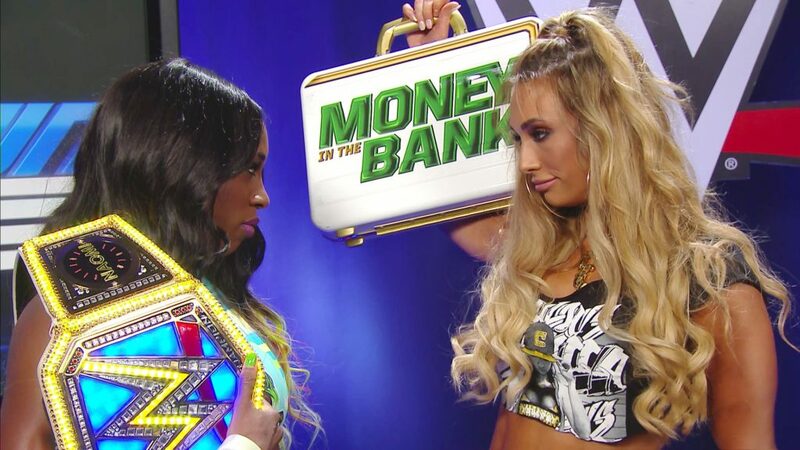 Carmella has one SmackDown Women’s Championship to her name and technically two Money in the Bank wins as well. That’s an impressive pedigree, but Carmella and Naomi have never really worked together in big match situations before. I’m not saying they’ll struggle to get along—because they’re both top-tier competitors who certainly want those titles around their waists. They’ll do what they need to do. Rather, their lack of tag team experience makes them a bit of a wild card. I kind of want to rank this duo higher, because they’ve got a lot going for them. Rose and Deville have snagged some wins recently, and they have momentum on their side. Unlike The Riott Squad, they’ve flourished since losing their Absolution leader Paige. Both competitors were impressive in this year’s Royal Rumble match, and their chemistry is undeniable. They’re a dark horse pick for me, the one team that I think—if they get a good pod draw—could make a serious run to the end. They’re dynamic and their styles complement one another, and that could come in handy during an elimination match. I think Tamina is potentially the weak link here. She hasn’t been involved in a ton of matches in the last few months, which might not bode well when stepping into something as daunting as the Chamber. 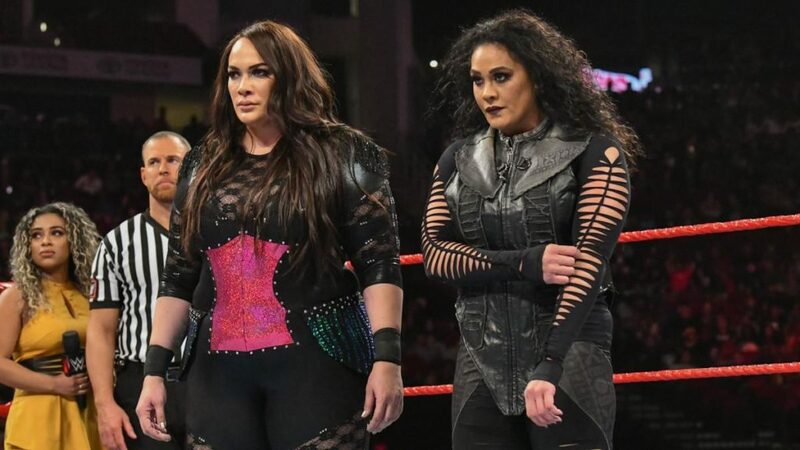 With that said, Nia Jax is having one hell of a 2019 so far. Ever since busting Becky Lynch open near the end of 2018, she’s been consistently putting the division on notice. I mean, she even put the men’s division on notice by entering their Royal Rumble match at #30 after attacking R-Truth. She was eliminated, but she stood toe-to-toe with some of the best that division has to offer. Add in the size advantage that Tamina and Nia Jax have over their competition, and they’re a difficult team to bet against. Banks and Bayley have a tumultuous history. They’ve been friends, enemies, and opponents with an immense amount of respect for each other. They’ve each held championships, and they nearly single-handedly revolutionized women’s wrestling in NXT. There is simply no denying that they sit in the upper echelon of not just the current women’s division, but all WWE history. They’ve made their own history again and again—Banks in particular, competing in a lot of “firsts” for WWE—and they just might be able to do it again at Elimination Chamber. They’ve been competing as a tag team for a while now, and that gives them a leg up on a lot the competition. “The Boss and Hug Connection” is coming into the Chamber hot, and there’s a good chance they’ll leave as champions. However, I think Banks and Bayley will come up short because we’re about to enter the reign of The IIconics. Who better to kickstart a whole division than the brash, confident, vicious team whose propensity for cracking jokes is only rivaled by their ability to get down to serious business in between the ropes? Billie Kay and Peyton Royce have spent their entire WWE careers as a duo, and unlike other teams on this list, they’ve never wavered in their loyalty. They’ve been by each other’s side through thick and thin, and they’ll step into the Chamber as the only team with a history built on teamwork and the pursuit of common goals. They’re coming out of Elimination Chamber the first ever Women’s Tag Team Champions. You can watch Elimination Chamber on Sunday, February 17 on the WWE Network.